We are located in the silicon valley of hyderabad i.e Hitech City and all Software companies and Malls are just a kilometer away. The place was quite clean and tidy. Check-in was quick. It is just about 500-700 meters from the main road. I would recommend it if anyone wants to stay in that general area. okay stay. away from the main road. This little apartment was perfect for me while I was visiting a friend. It was quiet and off the beaten track but close to the shops and taxis. The people who work there go out of their way to make me feel comfortable. The breakfast was great! This is a good place for people who is looking for a quiet and comfortable stay. The place is as depicted in the pictures. Pleased with Pranava for accommodating our request for early check-in, and also for quick and prompt responses. 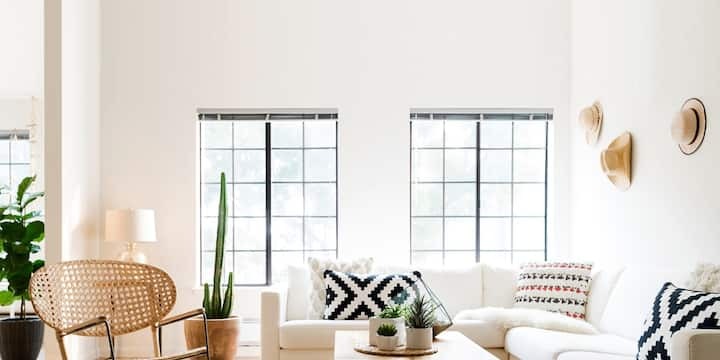 A few items in the room can be improved like tightening the flush fitting, providing a curtain or cover for the kitchen window, and closing the exhaust fan opening in a more decent way. I always look for places that will give me a sense of what life is like in a new town. Pravana Nivas is perfectly located in a residential neighborhood close to a park for walking, shops and supermarkets, taxis and auto rikshaws that took me where I needed to go. The neighborhood is quiet and the hosts are very friendly and available. With an unmatched locational advantage, our guests can easily access the Hitex Junction at just an arm’s reach distance whereas multiple top-notch IT and ITeS companies are located in close vicinity of our place. A home away from home our property is a paradise for guests who seek a homely environment. We ensure our guests have a pleasant staying experience with calm surroundings. Access elegant simplicity that is home to a luxurious stay, proximate to the bustling city lives & recreational activities and a paradise for travelers seeking stays for longer duration. A luxurious serviced apartment that suits the needs of all our travelers, our executive rooms can accommodate up to 2 occupants with premium facilities such as air-conditioner, double bed, TV with satellite/cable, attached bathroom, 100% power backup, free Wi-Fi, formal dining area and a fully equipped kitchen with round the clock food. What’s more, a delightful stay is accompanied with a tantalizing breakfast. The city of Hyderabad has a lot to offer to the guests in cuisines, historical sites, local flea market, various other attractions etc. You can take a cab or grab the local transport to reach the famous tourist spots which include Shri Jagannath Temple, Taj Falaknuma Palace, Chilkur Balaji Temple, Sri Ramakrishna Math, Peddamma Temple, Birla Mandir, Ramoji Film City, Salar Jung Museum, Chowmahalla Palace, Golkonda Fort etc. “My Nest” - Feel Like Home . Refined comfort, first-class service, and an unparalleled location await you here at the our guest house near Hitech city in Hyderabad. We offer an atmosphere of peace and tranquility. Whether you're staying for a short trip or an extended stay, our beautifully furnished guest rooms have everything you need to feel at home, with luxury bedding, bathrooms, and lovely balconies. Our premium private room in a three bedroom guest house is well-furnished and are clad with all the modern amenities like free Wi-Fi, LCD, Air-conditioner, Room Service and Much More. All the bedrooms are connected to the common area i.e. the Living Room which is well equipped with Television Lounge, common Dining Area, Refrigerator. Thus making your Stay at guest house worth remembering. Strategically located in Hitech City, the heartthrob of Hyderabad's commercial and IT centers, our guest house meets all the requirements of a modern business traveler. The international and domestic airports are a short, time-saving drive away. Important corporate parks like Raheja Mind Space,DLF and White fields are in reach within few minutes. Our guest rooms are the closest you can get to home away from home. Furnished with taste and equipped with furniture and all the amenities you would need for a comfortable stay, Our guest house meets everybody's individual needs. Our guest house is located in Hitech city near Shilparamam. I.T parks like Jayabheri, White fields, Raheja Mind space are very nearer to our guesthouse. At our guest house you can experience a pleasant and memorable stay as it is little away from main road and surrounded by trees. Great place and value for money ! The place is located very near to Shilparamam. It is a value for money experience and the host is extremely polite and receiving. A nice and comfortable stay. Very prompt and courteous staff, well furnished and comfortable rooms, clean and well maintained premises. Simple but well cooked and tasty complimentary breakfast from a choice of menu. Close to the main road and public transport, but quite and away from the noise. Has a variety of eating joints within 10 mins walking distance. Good to stay, some improvements required in kitchen, which they quickly applied. Cramped location. Unclean common areas. Helpful host but not a cosy place to stay. Located in Hyderabad, Planet Pool Inn provides a garden. Conveniently set in the Madhapur district, this hostel is set 5 km from ISB. The property is situated 7 km from Banjara Hills and 8 km from City Centre Mall. This property is also rated for the best value in Hyderabad! Guests are getting more for their money when compared to other properties in this city. We speak your language! This property is also rated for the best value in Hyderabad! Guests are getting more for their money when compared to other properties in this city. Our property is nearby to the "Durgam Chervu Lake", natural beauty of Hyderabad. Nothing is there what they have showen in photos. there is no A/C and TV. room is not good no maintenance at all., there are hair particles on bed. bed and bed sheets were not clean, i have booked for four thousand but five hundred rupees are more for that room. there is nothing in that room except beds. An okay place to stay.. but just watch out for the cloggy toilets. Had to stay here for 3 days while I was searching for a house. The experience was pathetic. Service was really bad and basic requests like water took 4-5 hours to be processed. Do NOT believe in the photos they have put up! The hotel is located in “Hi-Tech City”, an area that is rapidly growing into the financial centre of Hyderabad. The target audience for the hotel is the young business executive who is as much at ease in a business meeting as he or she is, in the party after hours. A generation which can easily straddle the physical and virtual world of technology and has learnt to barely distinguish between the two! (SENSITIVE CONTENTS HIDDEN), TCS, Dell and other software companies are at close proximity. There are two Major Hospitals Apollo and KIMS. Close to places like (about 2 - 4Kms) Hitec City and Gachibowli. Very good stay. The owner stays in the same house, and he is very friendly. House is amazingly well maintained and comfortable. Highly recommended! Excellent hospitality. Good breakfast, comfortable rooms. Complete value for money. Sridhar! An excellent human with an amazing huge house! He is a super host and we had the best trip ever!! Clean place, fully equipped kitchen, delicious food and extremely spacious rooms! Extremely polite, helping, humble and friendly with everyone! Dr. Anil Badiani (our group leader, 82years old) had a great time and is very impressed with Sridhar's hospitality! Sridhar also helped me with planning the itenary, getting logistics and extended help and support all throughout to fulfill our requirements /wish! I highly recommend him and wish him the best throughout his life! A three bed rooms, three bath rooms fully furnished AC apartment with 24 hr power backup, Wi-Fi, and security. Central location close to Hitech city, IT hub, Near Hitex convection centre ,Cyber towers, Shilparamam, restaurants, schools and hospitals. It is a furnished 3bhk apartment located in the heart of the city in hyderabad, three rooms have en- suited bathrooms attached to them, the rooms have writing and chair tv, ac , enough plug points to charge electronic items and a dining hall with sofa and T V. It is located in a well maintained apartment. My place is close to family-friendly activities, public transport, the airport, and the city center. You’ll love my place because of the views, the location, the outdoors space, and the people. My place is good for couples, solo adventurers, business travelers, and families (with kids). My place is close to family-friendly activities, public transport, the airport, and the city center. You’ll love my place because of the location, the ambiance, the people, and the views. My place is good for couples, solo adventurers, business travelers, and families (with kids). Calm place with good amenities..
No hot water. Bedsheets they didn't change first but after we ask, they immediately changed. Overall good. It is a Hotel... I never met the host.. Its Not a typical AirBNB type shared accommodation, .Good if you expect hotel stay.. other hotels in area also in similar price range.. The apartment is nice 5 mins drive from the main road. I had to change rooms on the second day as the room I booked was not available. Hot water wasn’t available in any room and WiFi was bad in the room on top floor. The guys are friendly and there is a shop to buy groceries right outside the apartment. The host is really good and responsible. He will make sure that your stay should be confortable and enjoyable. The apartment we were given was a completely different unit from the one shown in photos. It did not have a living room TV or a functioning kitchen as was advertised. An iron was not provided even though the listing said it would be (we requested ironing services twice but it was never taken care of). The shared bathroom door had a broken lock and many of the amenities were not up to par. The host didn't provide many basic things like towels, toilet paper, soap, shampoo, etc, until we asked for them. The "kitchen" (really a shell for a kitchen -- there was no stove, refrigerator, microwave or even an electric tea kettle for us to use within the unit) cupboards didn't even have a single plate, glass or piece of cutlery. We had to request everything from the shared kitchen and staff downstairs, and they weren't always responsive or happy to receive our calls. The service staff at the apartment were also difficult to communicate with because they neither spoke English nor proper Hindi. The location was very convenient though and host's brother Rohin (who was our main point of contact) was very friendly and kind, which is why we never made a big deal about the listing being different initially. We appreciated Rohin's cheerful and helpful attitude. But overall I regret booking this place and don't recommend it to anyone unless you're literally just looking for a place to sleep at night and for a very short stay. Our Deluxe room in a three bedroom guest house is well-furnished and are clad with all the modern amenities like free Wi-Fi, LCD, Air-conditioner, Room Service and Much More. All the bedrooms are connected to the common area i.e. the Living Room which is well equipped with Television Lounge, common Dining Area, Refrigerator. Thus making your Stay at guest house worth remembering. Strategically located in Hitech City, the heartthrob of Hyderabad's commercial and IT centers, our guest house meets all the requirements of a modern business traveler. The international and domestic airports are a short, time-saving drive away. Important corporate parks like Raheja Mind Space,DLF and White fields are in reach within few minutes. Our guest rooms are the closest you can get to home away from home. Furnished with taste and equipped with furniture and all the amenities you would need for a comfortable stay, Our guest house meets everybody's individual needs. Stay was comfortable and secure. Nice food and clean room. Thanks for the services. Nice place to stay. Calm. No noise. No pollution. Very comfortable to stay for longer periods also. My stay was very pleasant. Very close to all IT destinations. Hema was really helpful and approachable. Great place to stay, helpful staff and very friendly host. Big and spacious apartment, well maintained. The place was as expected. Locality was very family friendly. We had a great time. Services like ola and swiggy are available in the location. Room was not cleaned properly. I had to explicitly ask to change the room. Host is very cordial in arranging the early check-in. The rooms are spacious but the property is unfortunately ill maintained. The owner was indeed helpful, but then there is lot more scope of improvising the stay. and somebody should take the responsibility What all they need is a good manager and indeed a good plumber. Lot of things could be fixed (toilets/chairs/cob-webs etc. etc.) and then the place would be totally worth the money. But unless that is done, people who will stay here will get disappointed to an extent. As we only needed the place to sleep over, we could manage it. The hotel is designed to be both chic and classy; a pairing that wouldn’t raise an eyebrow with its intended audience. It is also designed to be both affordable and luxurious. The seeming contradictions here are easily reconciled by the very specific nature of the requirements and challenges that a property of this size encounters. Serene sorroundings. Great location. Fine neighborhood. Less than 10 min to HiTech City, Raheja Mind space, Financial district, Botanical Garden, ISB, Any of the tier 1 IT companies in Hyderabad. Walking distance to fine restaurants. HITEX exhibition. I came as a guest. I left as a friend. First I have to mention that I didn't stay in HiTech City but in his other apartment in Banjira Hills. There it was perfect. Nice view, central but in a calm neighborhood. What else to say? Stay with Ram while you in Hyderabad and add value to your stay!